Get the most out of the shades of black. 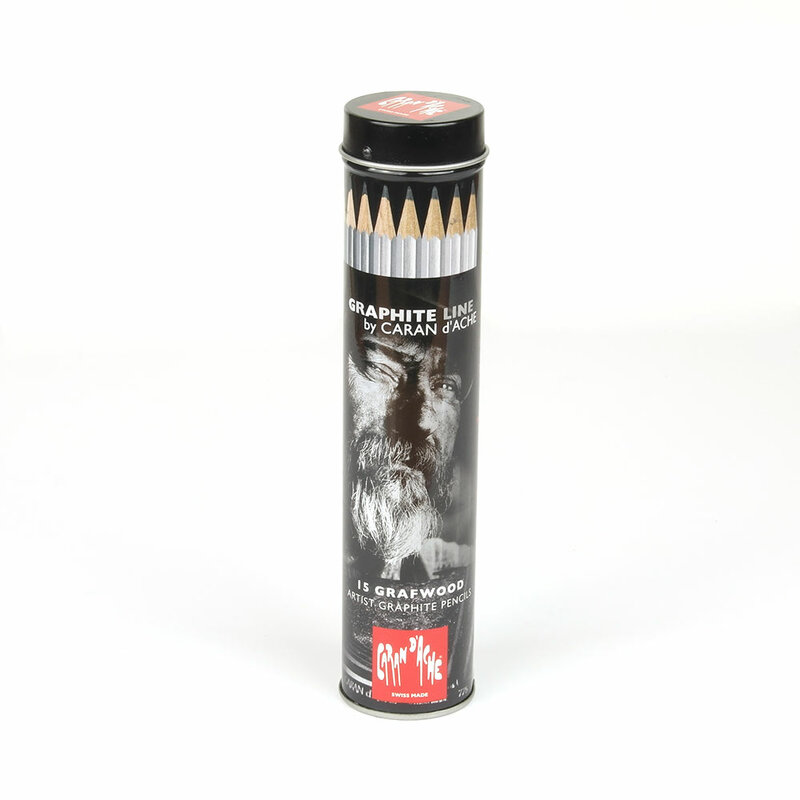 Purity of the graphite. Wide and regular range of gradations. 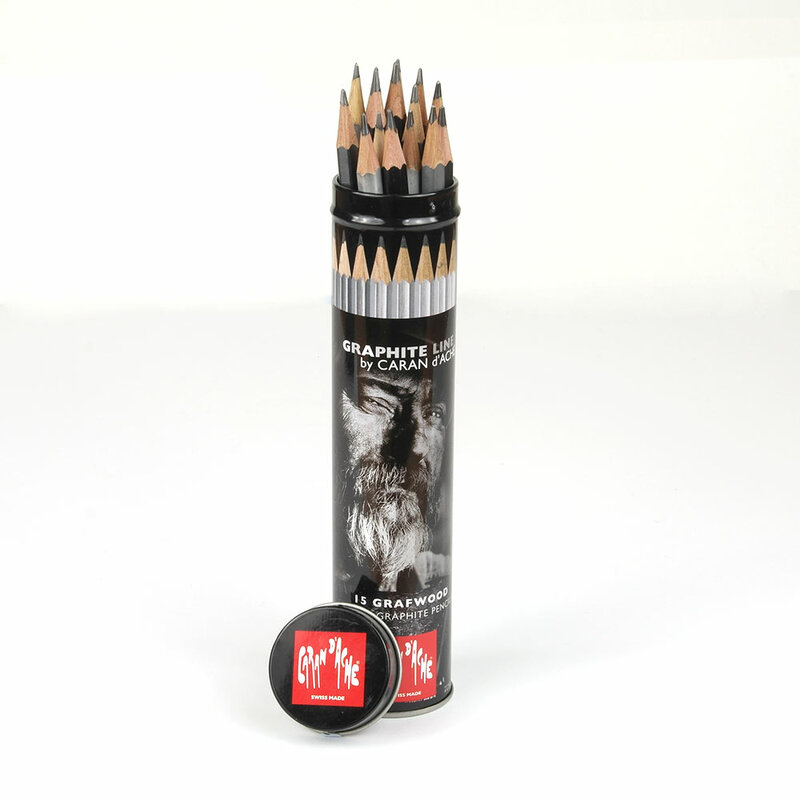 Available in 15 different grades, each pencil is a different shade of silver to correspond with its grade making it easy to pick out the right one. This round tin contains the full range of grades of Grafwood pencil.